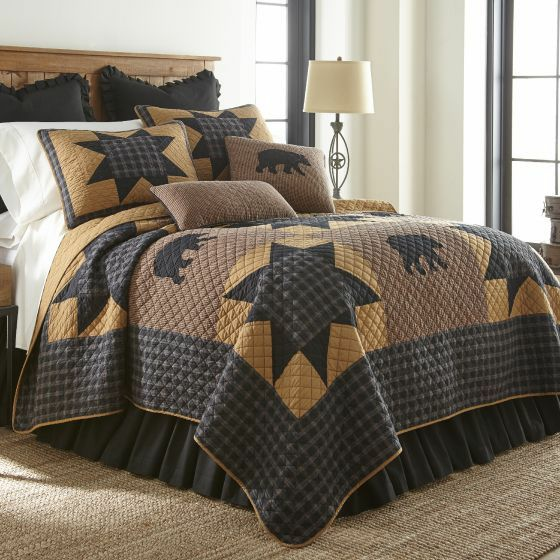 This handsome quilted bedding collection is based on the ever-popular black bear motif. 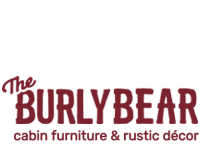 Large sawtooth star motifs in black, deep gray and caramel surround large gingham squares with appliqu�d black bears. The ensemble is finished with a cross-hatch quilting pattern. King set includes 1 King Quilt and 2 Standard Shams. All other items sold individually.